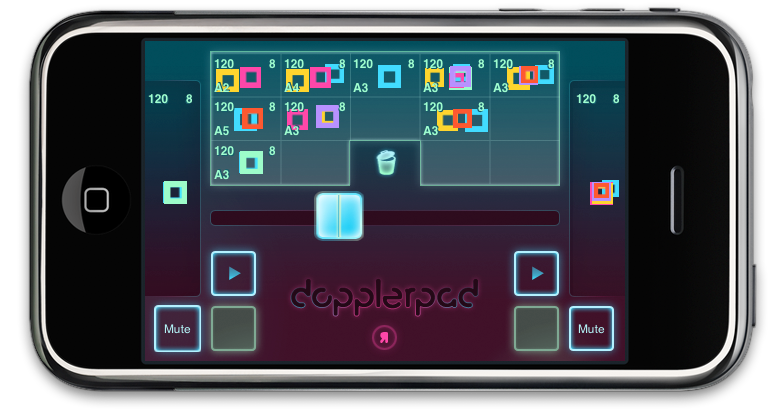 Check out this blog post for some version 2 screenshots, and a detailed look at some of the new features. 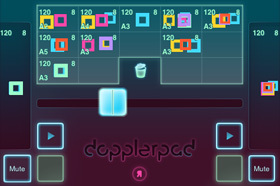 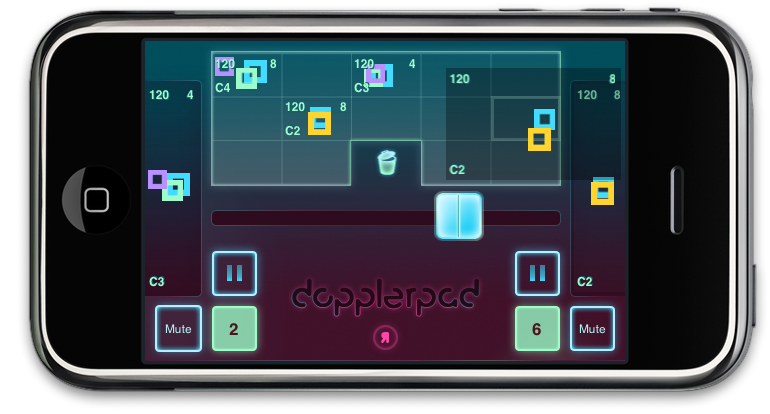 DopplerPad’s built-in instruments range from fat bass synths and unique leads to unusual pads and effects. 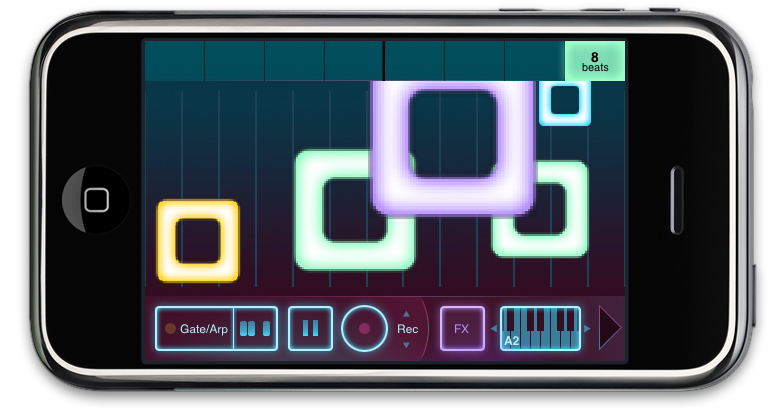 Add in some tight drum kits and the ability to record custom samples and you’ve got a full arsenal of sounds at your disposal! 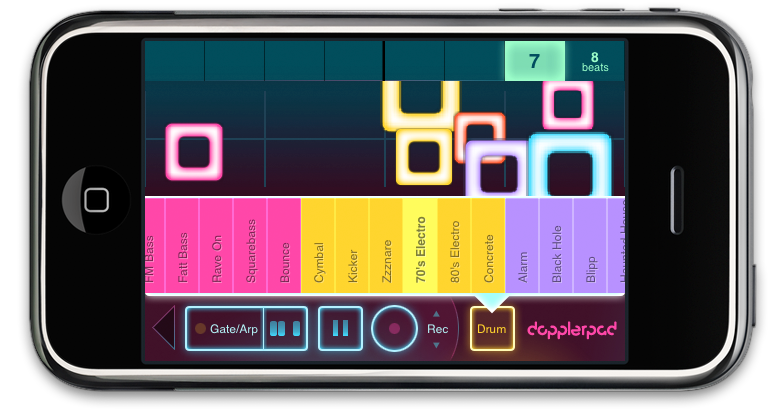 Drags and taps come to life with responsive visual feedback, making the groove visible. 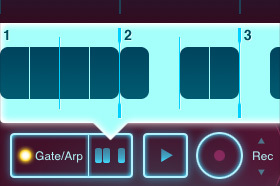 This helps you time your overdubs, visually distinguish one loop from another, and it doesn’t hurt that it looks cool. 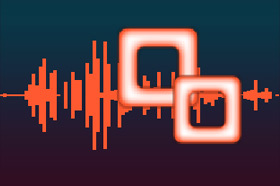 Set your tempo & loop length, and start recording! 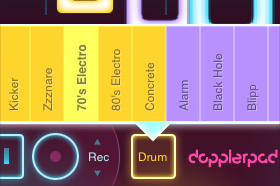 Overdub layers onto your loops, and save them for future use. 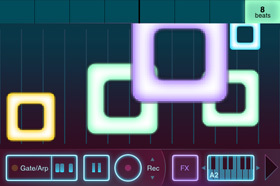 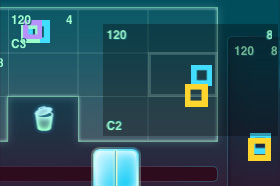 Use rhythmic and melodic automation to create phrases by freely moving fingers around the musical touchpad. 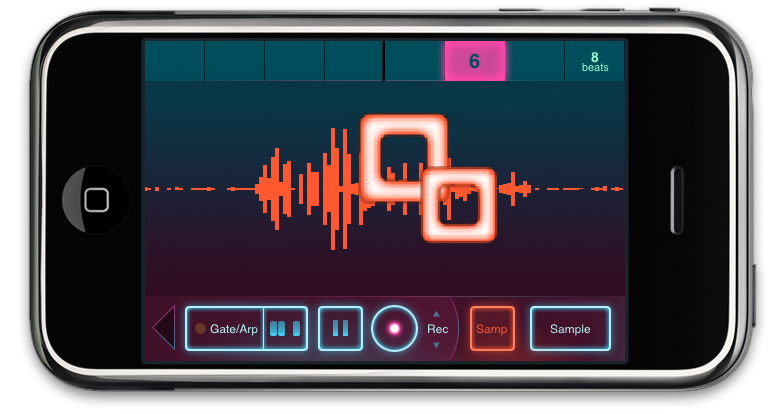 Use your mic to record samples on the fly, then use the touchpad to trigger excerpts as part of any loop — or just freely improvise over your mix. 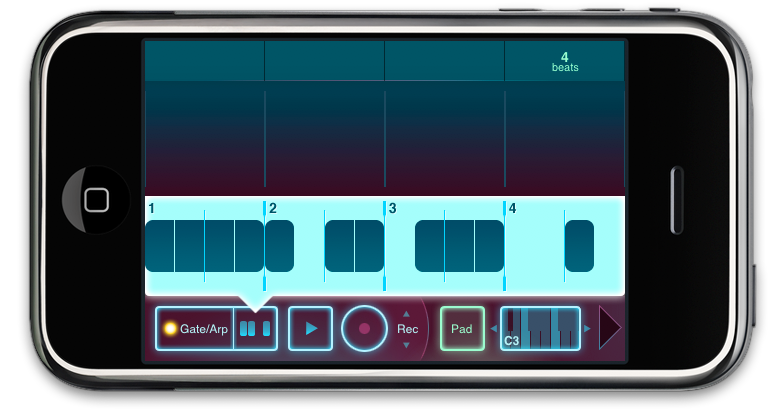 By storing loops in the loop bank and working on the fly with both pads and the mixer, you can create real-time performances wherever you go.